Momentum Bike Clubs is a community initiative of the Institute on Family and Neighborhood Life at Clemson University. Building on IFNL’s core mission of strengthening ties between families and communities, Momentum is premised on the belief that youth with multiple risk factors, including persistent poverty, parental incarceration, and/or instability in home life, are more likely to thrive when they live in communities that are inclusive and supportive of them and their caregivers. Unfortunately, too often the opposite is true. When families struggle with multiple challenges, they often become increasingly isolated within community settings. Youth may have academic difficulties or other behavioral problems. Often they carry tremendous burdens as they cope with their families’ struggles. Since it inception in 2010, MBC has served over 600 youth and have collective ridden over 70,000 miles. 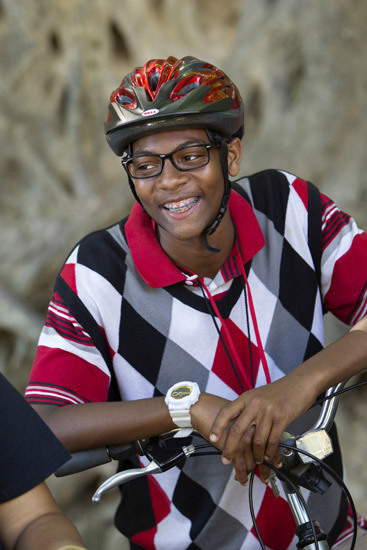 MBC seeks to model longitudinal mentoring; beginning with a strong connection to a bike club in middle school, youth have the opportunity to participate in internships, trips, youth development seminars and college prep resources in high school. Young people who move on to college are offered an annual scholarship, as well as ongoing mentoring support.